Coming on February 1st are the new Colors by Llarowe Polishes of the Month for January and February! 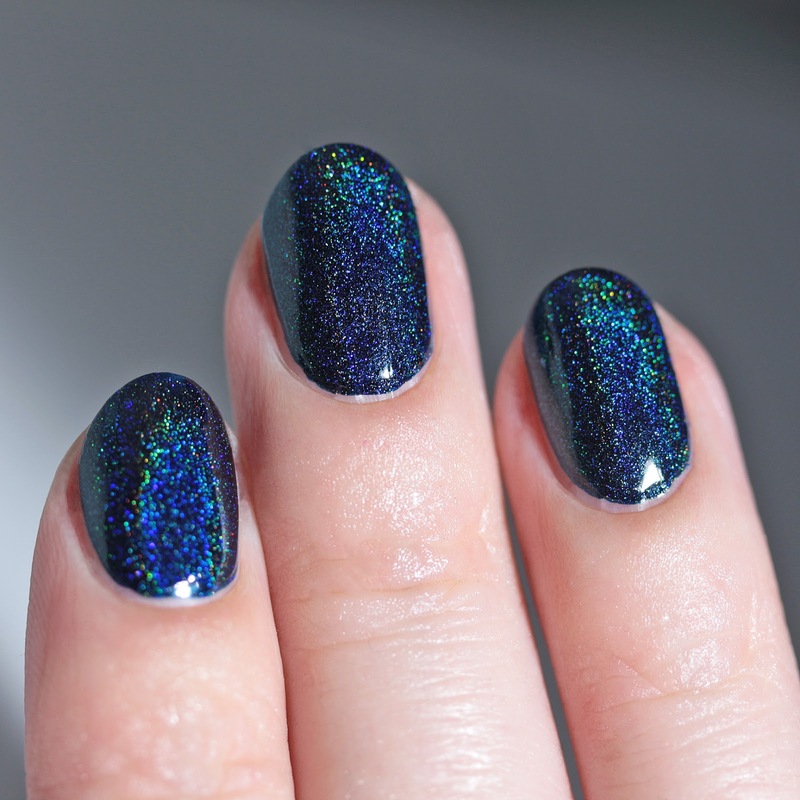 These are a stunning linear holo and a jelly flake with flashes of holo glitter. This is a bittersweet release, because it comes along with the news that Leah Ann, the maker, is ending retail sales for the time being as she decides to spend more time traveling! 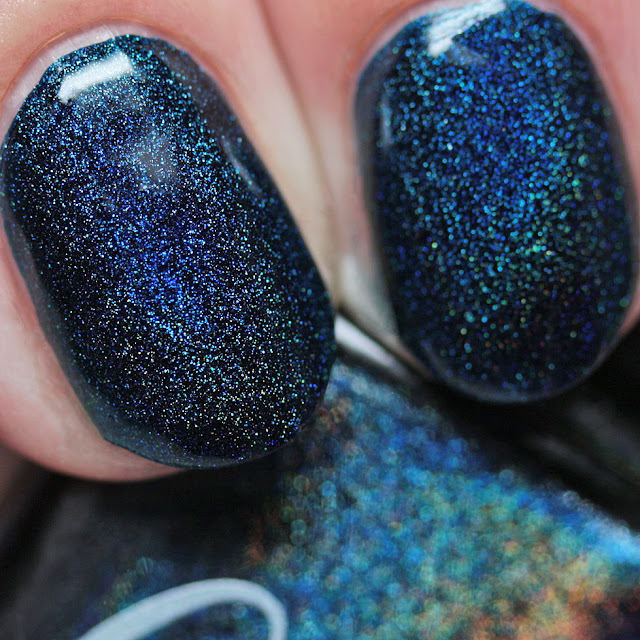 Colors by Llarowe will continue to be participating in group projects like Polish Pickup and Hella Handmade Creations, so we don't completely have to cry in our polish. I secretly hope Leah Ann will be so inspired by her travels and all the fun she will be having that she might have some really amazing stuff for us! 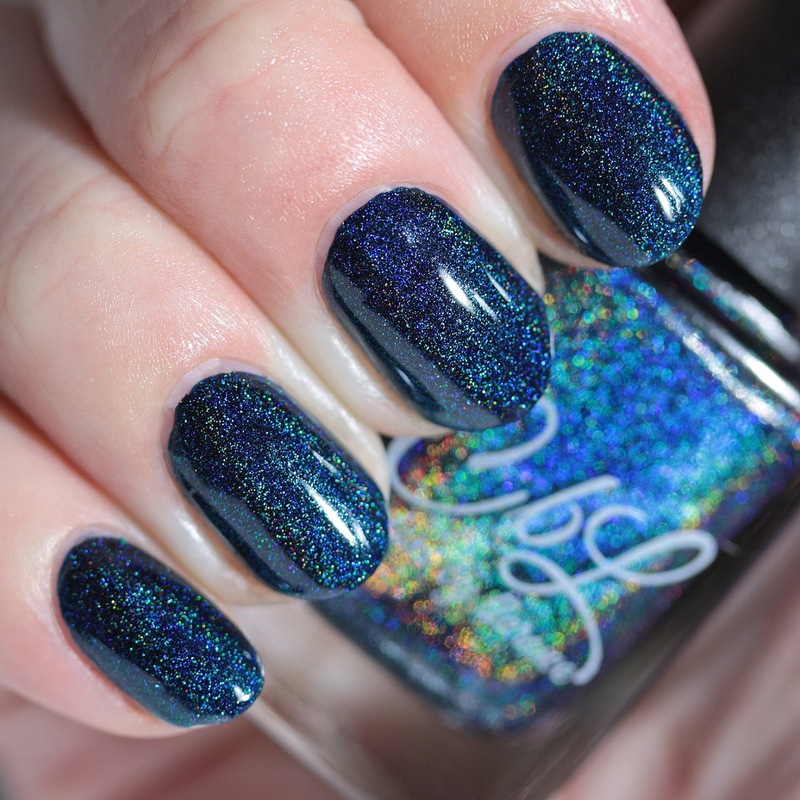 Colors by Llarowe In Your Eyes January 2019 Polish of the Month is a navy blue, ultra-strong linear holo shimmer that covers in one coat. Yup, one coat, folks! And the holo is not dull at all. I don't know how Leah Ann does it. The formula is smooth and dries quickly. 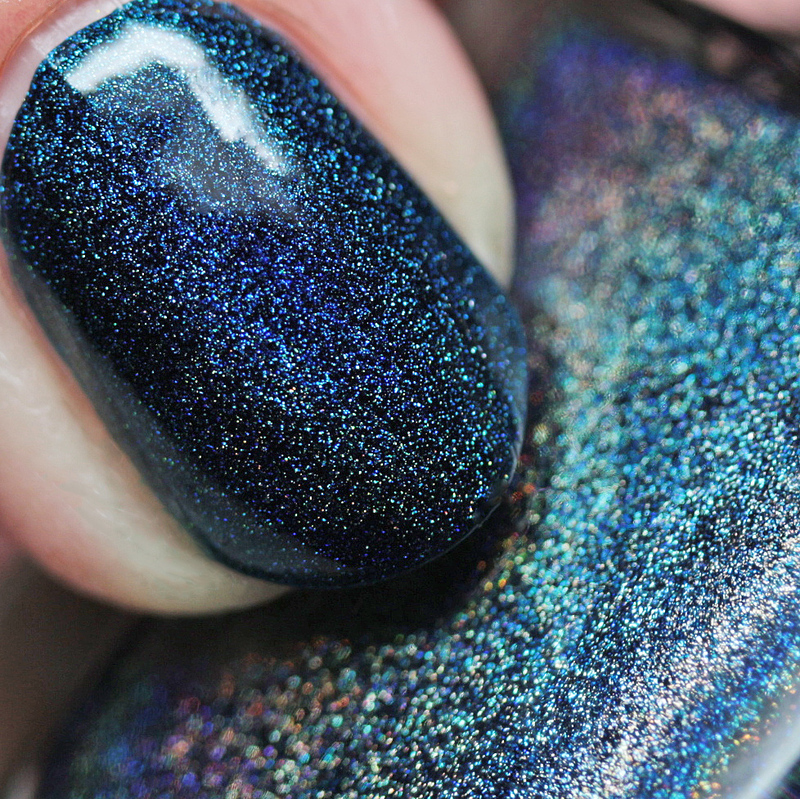 It is pigmented, so I recommend avoiding flooding your cuticles. This would no doubt work great for stamping given its opacity. 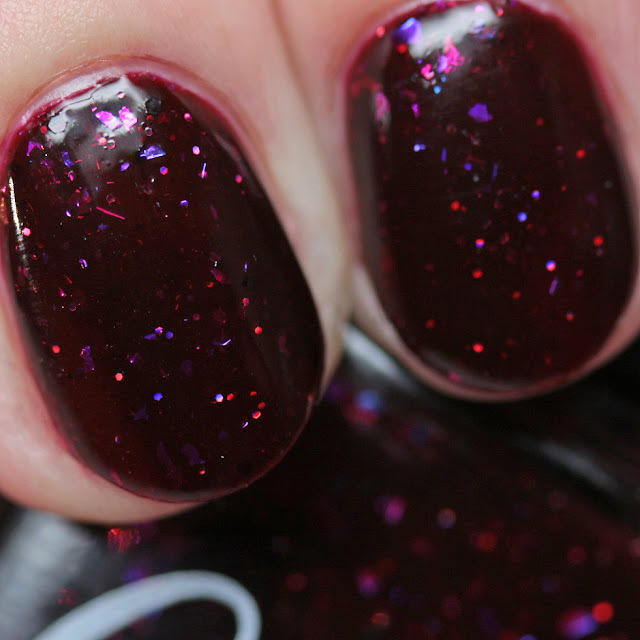 Colors by Llarowe Love Spell February 2019 Polish of the Month is a wine jelly with red holo microglitters and blue-to-magenta and magenta-to-green multichrome flakes. 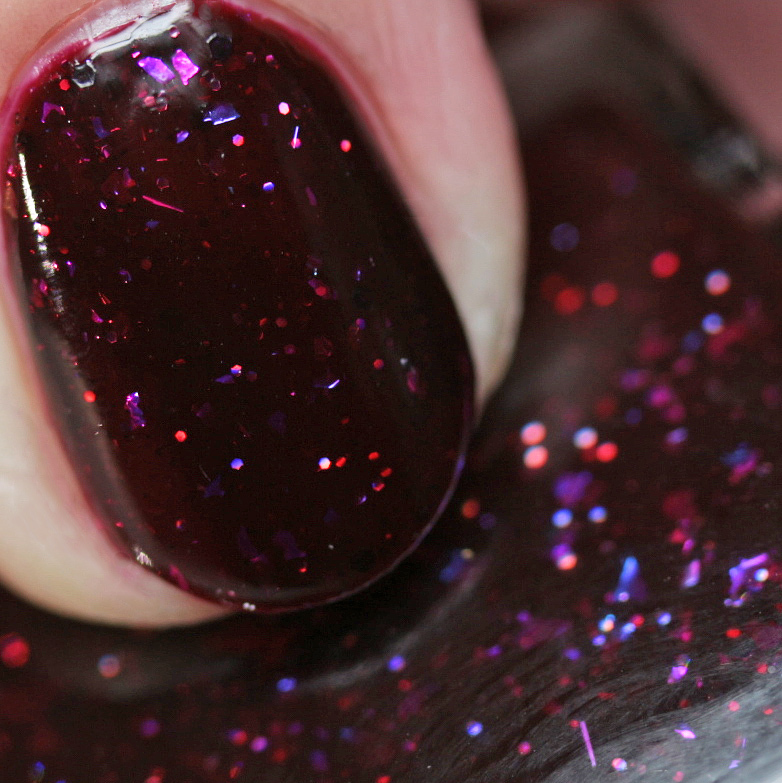 Because this is a dark jelly, it will be a bit streaky on the first coat but smooths out with subsequent coats. I used three coats to get the color it is in the bottle - it deepens with more coats. The formula is great and quick drying and there is no texture. 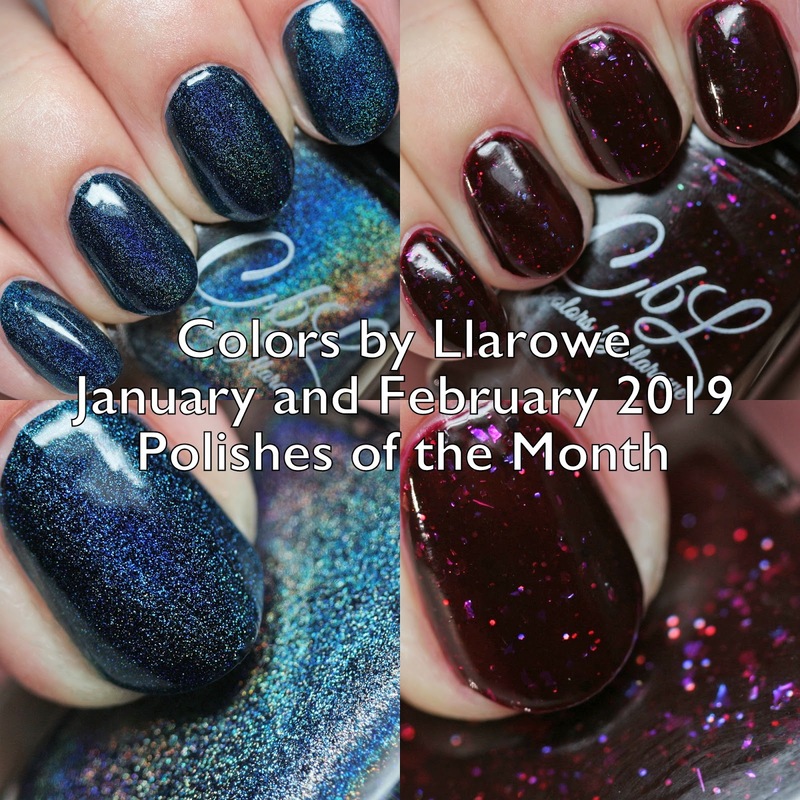 The January and Feburary 2019 Colors by Llarowe Polishes of the Month will come up for pre-order on February 1 12PM MST through February 7 12PM MST. Be sure not to miss these if you are looking for your Llarowe fix because current shades will not be restocked. There will also be a huge sale on remaining stock. What a deal! 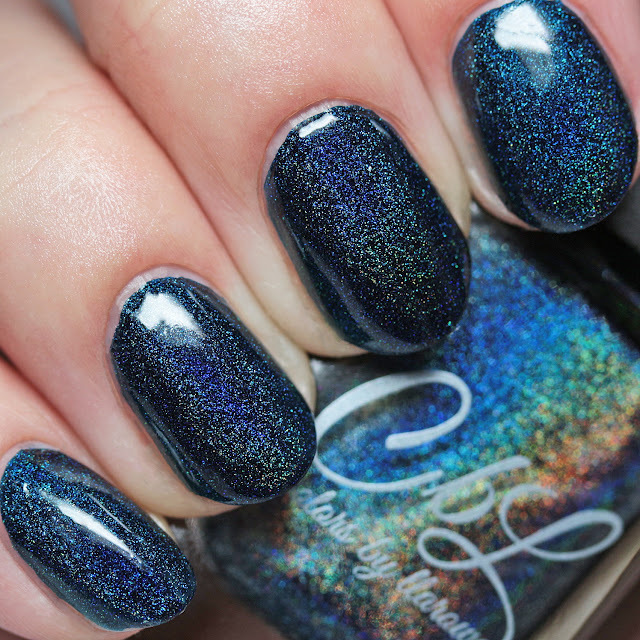 Colors By Llarowe is made in Colorado by Leah Ann.